There is always something to do on the North Shore! 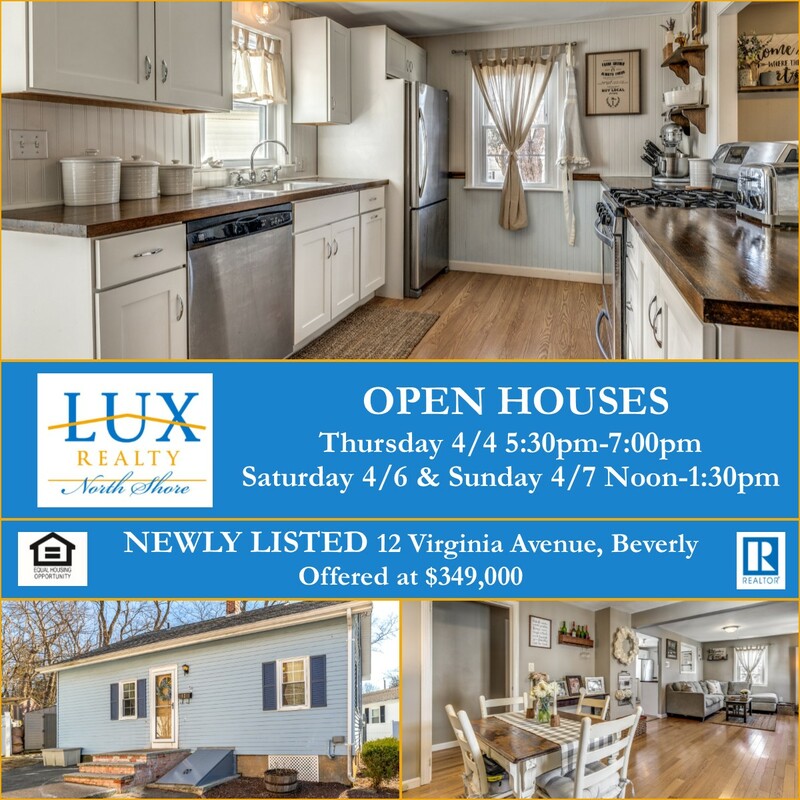 Jackie O'Neil, a REALTOR® working out of LUX Realty North Shore's 9 Dane Street office, just listed 12 Virginia Ave, Beverly, a charming Cape style home in the Ryal Side neighborhood. This sunny home is sure to delight with its open concept floor plan on the main level. Enjoy entertaining in your dining room and living room with a cut out to the kitchen. The beautiful kitchen, renovated in 2015, offers stainless appliances, white Shaker cabinets, and stunning butcher block countertops. A handy side door in the kitchen leads to the laundry room and out to the backyard complete with deck and patio area. Flexibility abounds with 1 bedroom and the full bath on the main level and the additional 2 bedrooms upstairs. Cute as a button! Commuter Open House Thursday, 4/4 5:30pm-7:00pm, Double Open Houses, Saturday 4/6 & Sunday 4/7 Noon-1:30pm. 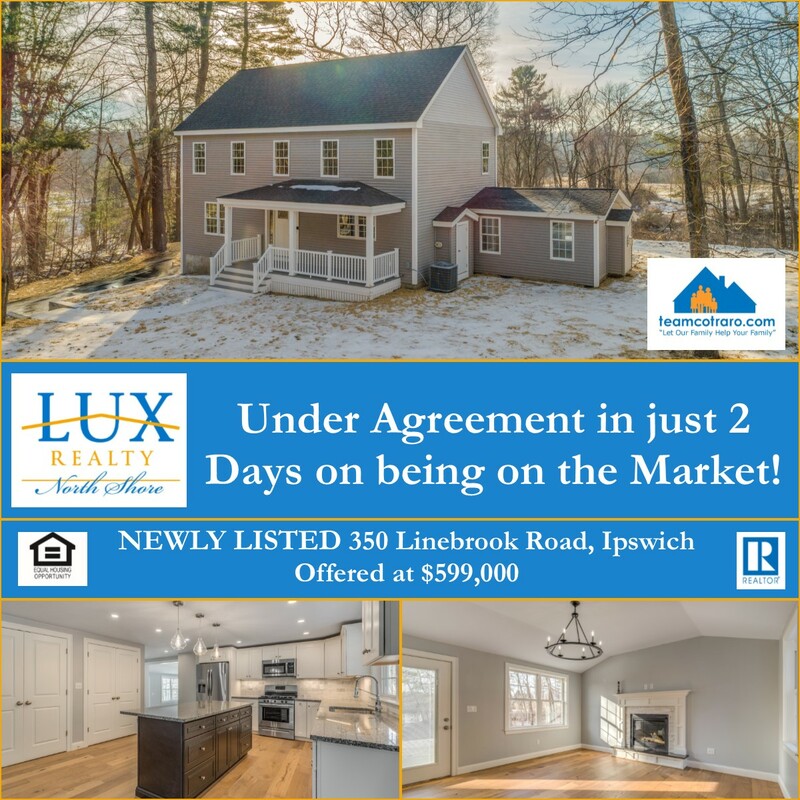 Listed by Team Cotraro, 350 Linebrook Road, Ipswich had an accepted offer in just 2 days of being on the market! This beautifully remodeled and updated Colonial home features an airy and open floor plan that is perfect for entertaining and hosting gatherings. Enjoy a fabulous kitchen with granite counters, center island with seating and storage, stainless appliances, pantry, and a dining area that flows into the light & bright formal living room. French doors from the living room lead to a classic formal dining room. Just off the kitchen is a half bath and the sunken family room with cathedral ceiling, gas fireplace and a glass door that leads to a nice stone patio area and the backyard. Upstairs is BRAND NEW and has an amazing master suite with walk-in closet, and double vanity bath. 2 more good sized bedrooms and another full bath with double vanity sink and laundry area round out this level. The partially finished lower levels has a great bonus area and a half bath. Hardwood floors, new heat, central air, 2 car garage and a professionally landscaped yard are just a few other fine details. Here are some great pics from the 4th Annual North Shore Association of REALTORS® RPAC* Bowling Event. 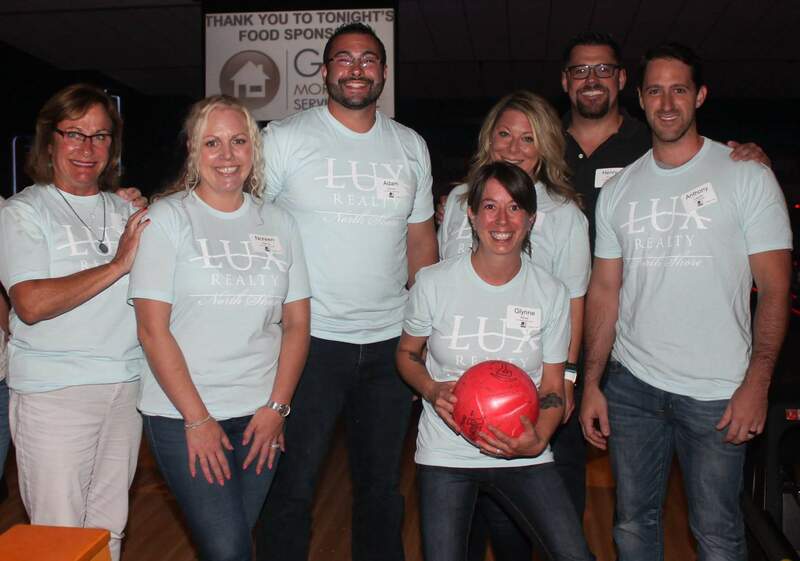 Held up at Kings Bowl in Lynnfield, this year's event raised over $11,000! RPAC gives REALTORS® a powerful voice to help develop, advance and implement legislative objectives that affect the real estate business and the ownership and operation of real estate. 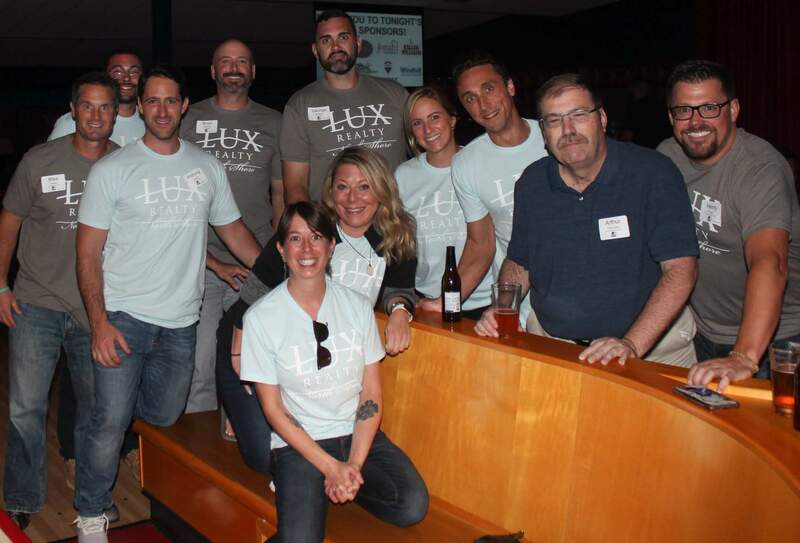 LUX Realty North Shore was happy to sponsor a lane and supply two teams, including friends of LUX, for this great fundraiser! *The Massachusetts REALTOR® Political Action Committee (MA RPAC) is a grassroots political network of REALTORS® who raise campaign contributions for pro-REALTOR® candidates, mobilize REALTOR® voters, and promote critical legislative and regulatory issues affecting the real estate industry. As one of the leading PACs in the state, MA RPAC enables the REALTOR® voice to be heard on Beacon Hill. 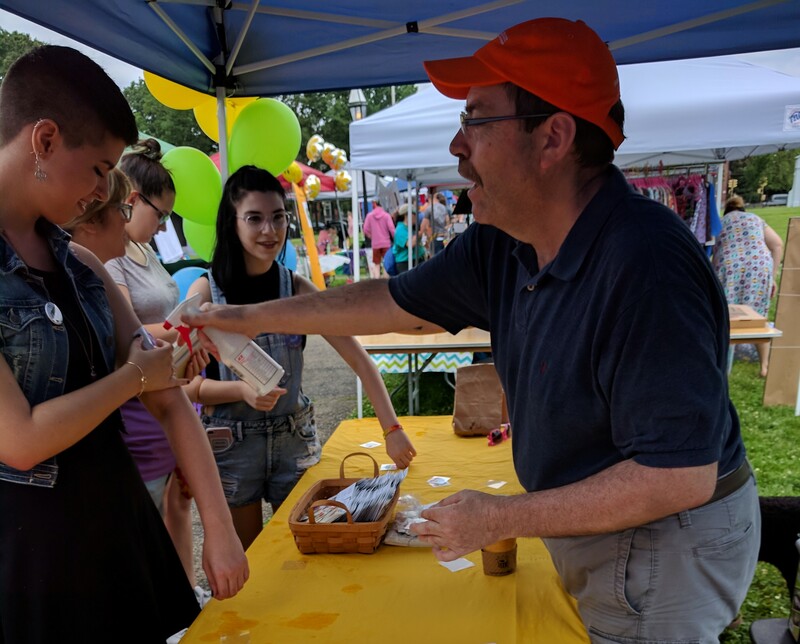 LUX Realty North Shore is proud to again sponsor this year's annual 4th of July Dance held by the Farms-Prides Community Association at the Hastings House in Beverly Farms. 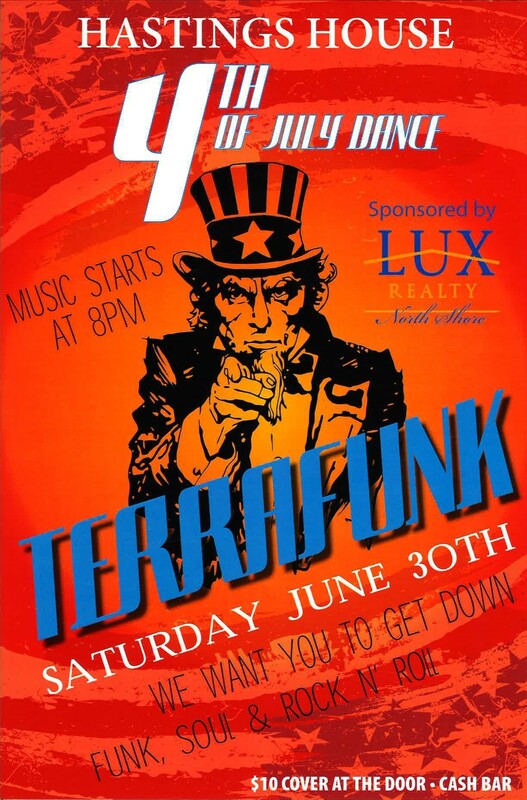 Come on down Saturday, June 30th at 8 pm and dance the night away to Terrafunk! Cash bar and admission is only $10! Funk, Soul and Rock & Roll! 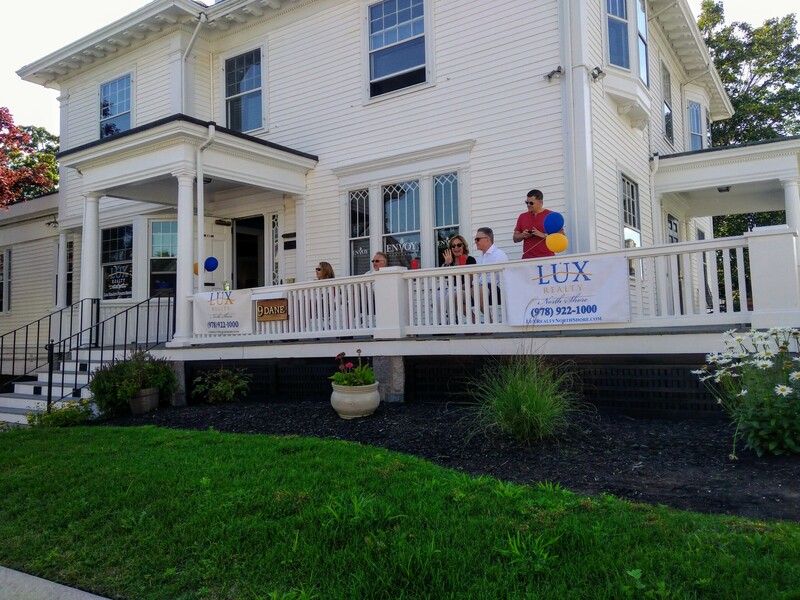 Here's a couple spectators from LUX Realty watching last year's race from our Dane Street office in downtown Beverly. Free and fun for all, make sure to attend this exciting event! 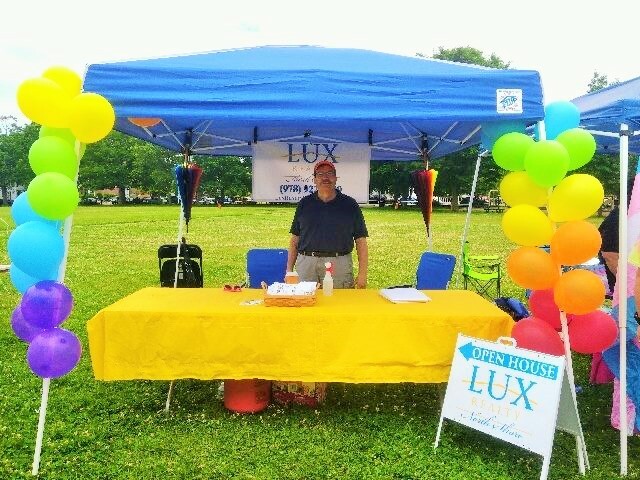 Come by and see LUX REALTOR® Arthur Thompson at this year's North Shore Pride Parade and Festival on the Salem Commons this Saturday, June 23rd, from 12-5 pm. The Parade will kick-off at Shetland Park and lead to the Salem Common where the festival will take place. Show your pride and support this free, fun-for-all event featuring live entertainment, dozens of vendors and great food booths! What's for dinner? June marks the opening of several Farmers Markets on the North Shore. Not only do they have veggies, but most offer a wide array of food and goodies as well as live entertainment. 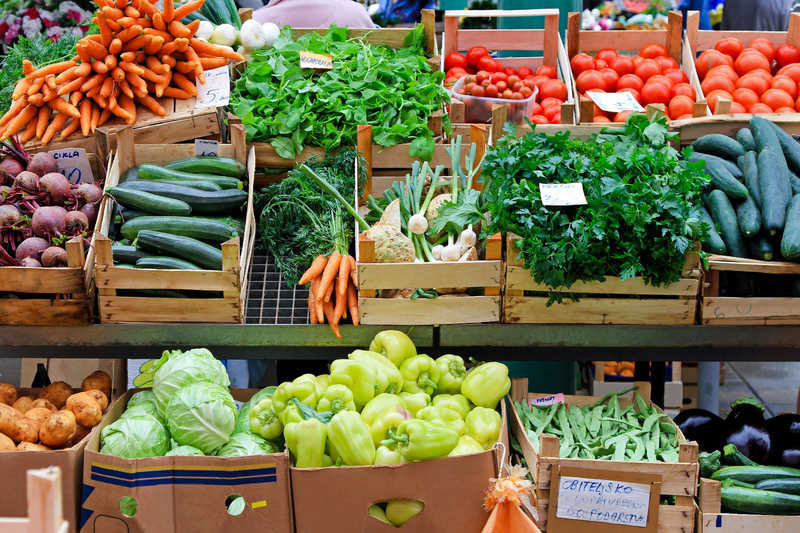 So this summer, skip the grocery store on your way home and swing by your local farmers market. After all, local is better! "Best home selling and buying experience I've ever had. Professional, classy, and efficient."